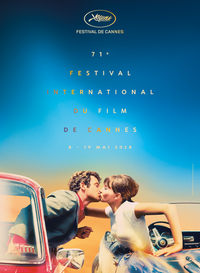 Exciting results from Cannes Film Festival 2018! – Art, Food, Travel and Fashion! 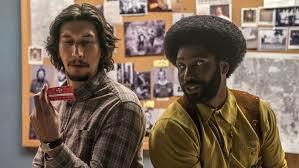 Exciting results from Cannes Film Festival 2018! The line-up for this year’s festival suggested a renewal for the world’s most famous festival. With innovation and discoveries the promise at a decidedly not on-demand festival, Cannes seems to have decided to burnish its leadership credentials As ever, there were new films from world-renowned filmmakers (Terry Gilliam, Lars von Trier, Nuri Bilge Ceylan, Asghar Farhadi, Jean-Luc Godard and others), but the organisers have also clearly made an effort to include less familiar names among the 21 filmmakers vying to win the Palme d’Or, the festival’s top award. Still a necessary talking-point, though, is the lack of women (just three) among those 21 contenders. Over 70 years, the festival has expanded to fulfil many sets of expectations: red-carpet black-tie glamour from the biggest movie stars, breaking news and celebrity interviews for 4,000 global press, a vital film market for international buyers and sellers, and of course the films that will be assessed by the media and world’s most exacting critics. This year, the jury to award the festival’s big prize, the Palme d’Or, is headed by Cate Blanchett. Standing atop the steps of Cannes Film Festival, Cate Blanchett dedelivered a sunning speech on gender equality. 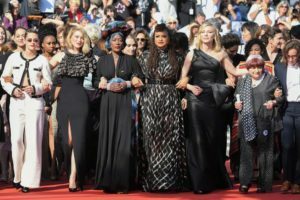 The actor – who currently serves as Cannes jury president – was joined by 81 other women in the film industry, each person representing one of the 82 female directors who have previously climbed those steps. That number, as pointed out by Blanchett, pales in comparison to the 1,688 male directors who have made the same journey since the festival started in 1942. She also noted how the Palme d’Or, the festival’s most prestigious award, has been bestowed on 71 male directors but only two female directors. “Women are not a minority in the world, yet the current state of our industry says otherwise,” she said, standing beside fellow jurors Ava DuVernay, Kristen Stewart, and Léa Seydoux, while famous French director Agnes Varda translated the statement. In a ceremony that included a passionate Asia Argento calling out Harvey Weinstein, the proceedings finished with a first: winners were invited to step outside the Palais as Sting sent out an “SOS” in a concert from atop the red carpet. This was a Cannes that started quiet and finished with a bang. Japanese director Hirokazu Kore-eda won the Palme d’Or at the 71st Cannes Film Festival for his film “Shoplifters,” marking just the second time this century that an Asian film has claimed the festival’s top prize (the other being Apichatpong Weerasethakul’s “Uncle Boonmee Who Can Recall His Past Lives” in 2010). 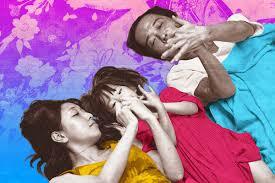 A moving portrait of a self-made family whose secret ultimately jeopardizes their ability to stay together, the widely praised drama represents Hore-eda’s fifth time in competition, making him one of the few veterans in a line up weighted toward less established directors. Japanese master Koreeda Hirokazu steals up on our feelings with a subtly, furiously humane analysis of his perennial theme – family, here at its most impromptu and vulnerable. Jane Campion is still the only woman to have won the Cannes Film Festival’s Palme d’Or. 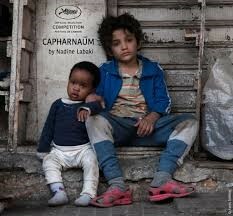 Although Lebanese director Nadine Labaki’s was a strong contender and earned the Jury Prize for her film “Capernaum,” a wrenching neorealist portrait of a Beirut street urchin who sues his parents for bringing him into the world. She accepted the award on-stage with child actor Zain Al Rafeea, one of many young performers responsible for carrying films in this year’s festival (Palme d’Or winner “Shoplifters” also hinges on a pair of child performances). Best actor honours went to “Dogman” actor Marcello Fonte, who plays a shrimpy small-town dog washer bullied to the point of breaking by a local thug. Considering the sheer number of strong female performances at this year’s festival, many were surprised to see best actress awarded to “Ayka” star Samal Yeslyamova, whose character — an illegal alien who abandons her new-born baby in sub-zero Moscow — certainly endures the most on-screen hardship. On the whole the Cannes Film Festival as always is a celebration of some of the best films and filmmakers working in global cinema today! ← Bentley Beyond the New Fragrance Collection – Beyond trends, Beyond frontiers, Beyond time… Liquid emotion.